Lightning Bolt is a ISO 9001:2008 premiere manufacturer of Incoloy-925 fasteners. Also known as alloy 925 fasteners or inconel 925, this unique alloy is an age hardenable nickel-iron-chromium alloy, that also have additives of molybdenum, copper, titanium, and aluminum. Many know this material by its UNIS N09925, this material has a unique ability to be highly resistant to oxidizing environments while at the same being very strong. Due to its ability to resist sulfide stress cracking, it is often used in crude oil applications containg H2S. Incoloy 925 fasteners are sometimes also used in pumps, and valves operating in extreme environments. Why Lightning Bolt for Incoloy-925 Fasteners? 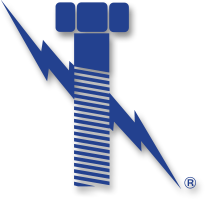 Lightning Bolt & Supply has been servicing North America’s industrial fastener needs for over 25 years. Since then, our focus on the production of high quality parts at competitive pricing has allowed us to become an industry leader. Our niche in exotic high nickel alloy fasteners include materials such as: hastelloy, Inconel, monel, A-286, 904L, Alloy-20, duplex stainless as well as many additional alloys. Being centrally headquartered in Baton Rouge, Louisiana, we are capable of shipping to jobsites all over the world. Many of our industrial projects that we supply material to include anchor bolts, and also stud bolts of many different ASTM grades. These include B7, L7, B16, B8, B8M, stain hardened and many more. In addition to being an ISO certified fastener manufacturer, we were awarded “Corporate Supplier of the Year” by WBENC. To learn more about our products, or to place an order, please call (225) 272-6200 or send an email to sales@lightningboltandsupply.com. For calls placed from outside of the United States, please call 001-225-272-6200.